Smoke Detectors...Here Are The Facts! The first thing to clarify is that building code regulations regarding the installation of smoke detectors has changed. The most current requirement calls for a smoke detector in every bedroom, a smoke detector in the hallway or common area outside of the bedrooms, and a smoke detector in the hallway or common area on each livable level of the home to include the basement. Many times what you will find the combination of a hardwired system and battery only smoke detectors. So what is the difference? A hardwired system basically ties all smoke detectors together so if one goes off then they all go off. A battery only smoke detector does not work in this fashion. It will only sound the closest detector to the problem and the rest will not be activated simultaneously. There may be a misconception that a hardwired system does not require a battery. This is not true. There should always be a battery back up in the event that you loose power. Battery powered smoke detectors, until very recently, came with a 9 volt battery. There was always a push to change your battery when you changed your clocks during the daylight savings times. However, now there is newer technology on the market that coincides with Maryland law. Most battery powered only smoke alarms come with a 10 year life battery system that does not require you to change your battery every six months. These battery systems are sealed within the detector and will expire in 10 years. So the moral to the story is simply put a new detector up and in 10 years take it down and replace it with a new one - there is no more changing batteries. Just understand that this is only for battery powered smoke detectors. The hardwired detectors still require you to change the battery every 6 months. Again, the battery is only acting as a back up in the event of a power loss to the house. So what is the new Maryland Smoke Detector Law? By 1/1/ 2018, any prior installed battery operated smoke alarm, supplemental or otherwise, must be sealed, tamper resistant units incorporating a silence/hush button and using long-life sealed in batteries. ALL ALARMS MUST BE REPLACED IF THE UNIT IS 10 YEARS OLD OR MORE. There must be a functional smoke alarm in each sleeping room, in the hallway or common area outside of bedrooms, in the hallway or common area one each livable level of the home and in the basement regardless if it's finished or unfinished. The background to all of this is simply a push to help prevent residential fire deaths. Lets face the facts...people simply forget to replace batteries and before you know it, they have no functional smoke detector in their residence. The ending result can be tragic. If you have fuel burning appliances such as a gas / oil furnace, gas stove, gas water heater etc., please consider adding Carbon Monoxide detectors. You can buy combination CO and smoke detectors which will offer the best protection since you have both features built into a single device. Many of the 10 year life detectors will alarm when they expire. This is a great reminder for future replacements. 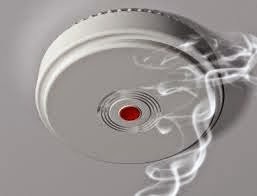 If you are planning to sell, updating your smoke detectors may be a good low cost option to consider. Does your A/C unit have room to breath? Lately I have come across several outside compressor units that have been set up in less than desirable locations or "altered" so to speak in an effort to hide them. Some examples include; hidden by decks, wooden covers concealing the unit and even foliage growth. Unfortunately this is NOT good practice and could lead to costly problems. The performance of the air conditioner depends upon efficient outdoor heat dispersal, which relies upon adequate air circulation into and out of the condenser. The blower draws in fresh air horizontally through fins on the sides of the cabinet, channels the air through the condenser coil and exhausts the air, along with heat extracted from the house, vertically through the top of the unit. Obstructions such as walls, fences, decks or vegetation may interfere with the free flow of air into the unit. Dirt and debris stuck in the fins can also restrict proper airflow. Decks or other overhanging structures above the unit may hinder the dispersal of exhausted air. These factors can hinder the air conditioner’s performance and efficiency and can even affect its overall life expectancy. It is recommended that you maintain a minimum of 1 to 3 feet of open horizontal space around the unit to allow for optimum air intake. To avoid excessive heat buildup inside the condenser coil and ensure proper heat dispersal, it is recommended that you leave 4 to 6 feet of vertical clearance above the unit. Dirty units should be cleaned, serviced and inspected by an HVAC technician. Masters Home Inspections: Low Hanging Electrical Wires! 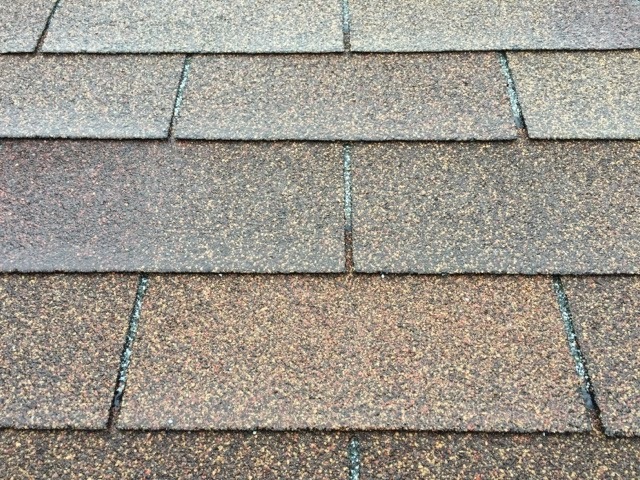 Found this issue at a recent inspection. This is certainly a safety concern. Electrical service wires are required to be 12 feet above the ground at a minimum to avoid a potential contact. These lines which travel from the house to the garage sit slightly over 8 feet. I could touch them without jumping if I really wanted to! Masters Home Inspections is looking forward to spring! 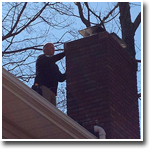 Look for big things in 2015 from Masters Home Inspections LLC.